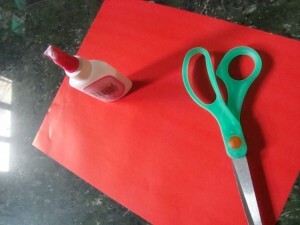 Today I’m going to show you how to make a Chinese Paper Lantern. 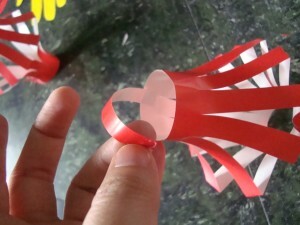 This craft is ideally for Chinese New Year. 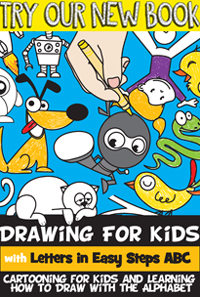 But, you can also have your kids do this if you have a Chinese-themed party, or maybe a Chinese activity in school…. or perhaps you would just like to teach your children about the Chinese tradition. What ever the reason may be your kids are sure to love making this craft. So, grab the materials needed and let’s get started. 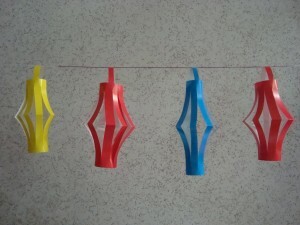 You can go with all red or mix it with other playful colors to have rainbow inspired lanterns. If you want bigger lanterns, you can just adjust paper size accordingly. Fold colored paper in half, lengthwise… then another half, crosswise. Now you have 4 equal sides. Cut rectangles. Using one rectangle, fold it lengthwise. 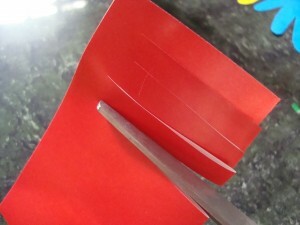 On the folded side, cut strips of about 1/4 inch… be careful not to cut it all the way. Leave about half an inch on the end. 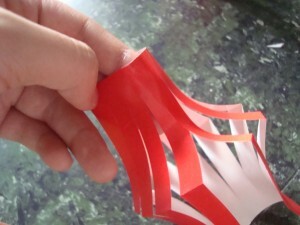 Open fold and using glue, attach both ends, with the strips vertically positioned. 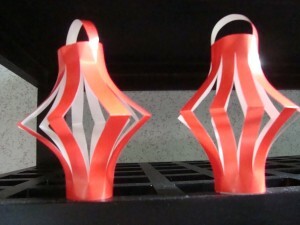 You can cut a short strip of the same color paper and attach it on top of the standing lanterns, as its holder. Do the same steps to do some more lanterns, varying colors if preferred. You can leave it on a table as a decoration or you can get some string and hang them from the ceiling. Whatever way you decide to present these lanterns they are sure to be a big hit. How did your lanterns turn out? Let me know in the comments below. I love your advice I will make one of these. I am in focus and I need to make a box with five things that represent china I have six and this will be my seventh!